Are you like me and always baking the same old dish when you are asked to bring an appetizer to pass at picnics or bridal showers? Well, I have a fun dish for you to try that I promise people will be asking you to bring every time. 1) Crush the nuts into a rough powder and then set in a small bowl. 2) Place wax paper on a baking sheet and set aside. 3) Melt white chocolate chips according to directions on the bag. 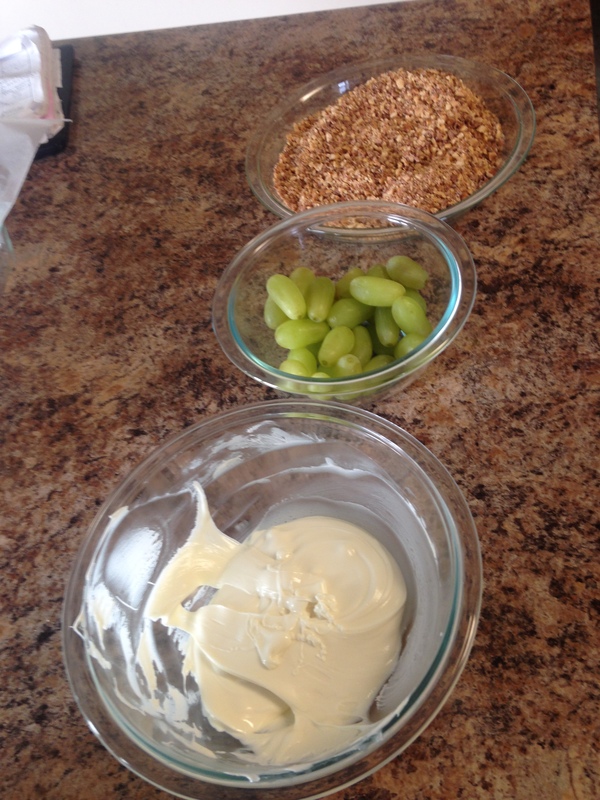 4) Dip the grapes, one at a time, into the chocolate and then immediately dip the bottom of the grape into the nuts. You can dip as much of the grape into the nuts as you would like but I think just a little on the bottom gives it a great taste. 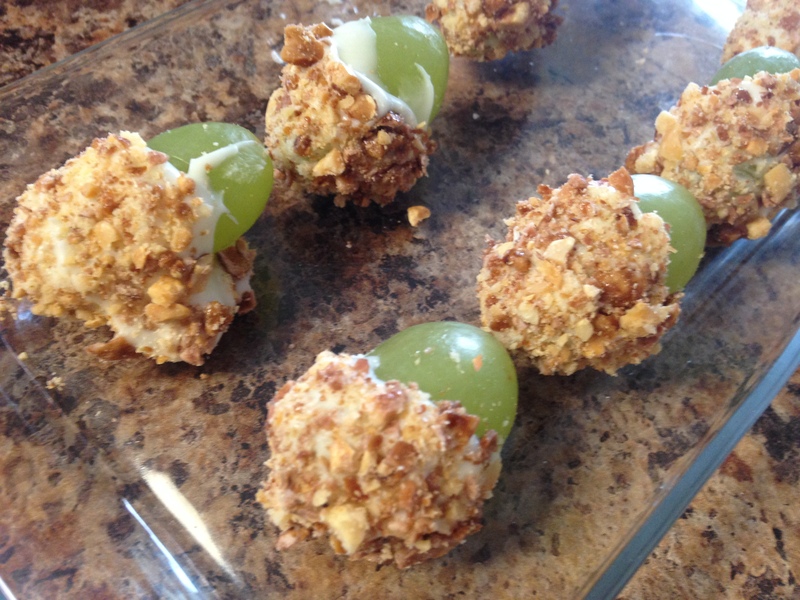 5) Place grapes on the baking sheet to cool. 6) When you are finished with all of the grapes place them in the fridge for at least an hour before serving. Not only is this my go to dish but when I needed to come up with a dessert to add to the sweets table at my wedding I picked this one. This dish was a hit at my wedding and your party guests will love it too!